Last night I finally realized why I dislike Hallmark movies. It's because I've seen commercials with more artistic merit than a two-hour Hallmark film. No seriously, I have. Watch this one. Really, watch it. This is a commercial. Or this one. This will do something to your stone-cold heart. Or for that matter, the commercials they show during each Olympics. They tell a whole story in such a short amount of time. But nevertheless, I am nothing if not open-minded. There is a handful of Hallmark movies I have genuinely enjoyed. So last night, I sat down to watch The Christmas Train, wondering if this would be added to the prestigious handful. We start off with a generic white male, our main character. A moment later we see a generic white female. The two are not together yet, but it is already obvious to the viewers (in this case, me) that they will be married before the credits roll. This ain't my first Hallmark rodeo. Anyway, Main Guy is a journalist and wants to write a book about a train to honor his late father. He lacks inspiration, though, so he boards this offbrand Polar Express in order to concoct characters and plot. Also riding the Christmas Train are well-rounded characters such as Elderly Widower, Former Train Conductor, the Psychic, over-the-top Young Couple in love, a ridiculously annoying Joan Cusack, Danny Glover the (romance) movie director, and the Main Girl. Come to find out, Main Guy and Main Girl used to date each other. Of course they did. Is this real life? Could this be the best Hallmark movie ever made? The movie gives lots of sly attempts at making me suspect other people, but no. I've got you all figured out, Hallmark. This sweet little couple dripping with heart eyes and cheesiness is actually a pair of criminal masterminds. They're robbing the train blind, but no one would ever expect those blissful, rosy faces. No one except me. Then a bunch of stuff happened but I didn't really pay attention because I was stuck on this Bonnie and Clyde scenario going on behind the scenes. Bravo, Hallmark. I am 100% on board with this plot right now. And then, after talking and romance and more talking and music that absolutely does not fit the mood (and I swear was recycled from previous movies), the train jolts. Passengers lurch to the floor. It's happening! IT'S HAPPENING! Bonnie and Clyde are holding up the train! Except, no. The train is stranded in a "snowstorm," depicted by some casual flurries of fake, fluffy snow in a studio with a backdrop. It's Christmas Eve. There is no cell service. They're running low on fuel. I'm still not convinced the Bonnie and Clyde couple aren't somehow behind it. But wait! Main Girl and Main Guy will save the day! Surely somewhere in the middle of this vast Colorado wilderness, there will be some friendly ranchers willing to lend a helping hand or two. Off they go in jackets, snow skis, and goggles to brave the blizzard. Snowflakes gently brush their faces. It's convenient this blizzard has no wind whatsoever, because they are able to converse in completely normal tones as they casually trek through the woods. They reconcile their past differences and make out in this "snowstorm." As you do. And things keep getting better! They stumble upon a ranch, where they find accommodating farmers chopping wood and saddling horses. I can't take this anymore. If Hallmark really, truly wants us to believe that this soft to moderate snowfall is a dangerous storm, then WHY DO THEY DEPICT CHARACTERS OUT IN IT CHOPPING WOOD AND RIDING HORSES? WHY? Have they ever BEEN to the Colorado wilderness? Have they ever SEEN a blizzard? Because I have experienced neither of these things but I still feel better equipped to direct this movie. So, hooray. They all get rescued. They celebrate Christmas on the train. But wait, there's more. The Bonnie and Clyde couple (for whom my hope is now a dim but lingering flame) start to act weird and suspicious AGAIN. No, wait, actually Elderly Widower is behind the theft. Apparently he lived a life of high crime before drastically and immediately turning himself around in order to get married and successfully lead a family. Because yeah, that happens. Now that his wife has died, he's promptly done another 180 and gone right back to stealing. Let me say this about Hallmark movies. They don't know when to end. We just keep going on. And on. And on. Somebody please let me off this train. All the minor characters get their small resolutions, which is well and good, but seriously, you can end now whenever you feel like it. We know Main Guy and Main Girl are back together. We know who the thief is. 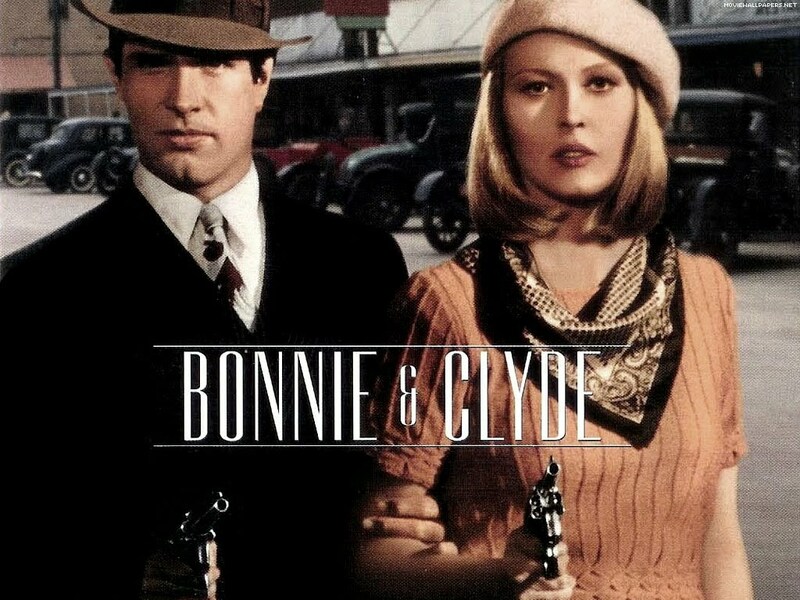 I can swallow my disappointment that this was never a Bonnie and Clyde movie. Hallmark commits THE BIGGEST SIN of its entire broadcast history. Turns out, every single stupid person on this train, except for Main Girl and Main Guy, was an actor paid by Danny Glover. He orchestrated the WHOLE. ENTIRE. THING. to get this girl and guy back together. This is SO BAD. You've taken EVERY. SINGLE. CHARACTER. in the entire film and turned them into one giant plot device. The two main characters are now completely passive and were just herded along by the underlying plot the entire time. Not that these were the most developed characters in the world, but still, they were active. They were making decisions. And now, these decisions are just null and void as they were actually shoved together against their knowledge and will? WHY WOULD ANYBODY DO THAT? Whoever made this movie had no respect for their own story. Seriously. I cannot stand it when characters snoop around and conspire to get other characters together. This is like that, but on an atomic level of steroids. LET THE MAIN CHARACTERS MAKE THEIR OWN DECISIONS. To top it all off, this revelation has now made the whole movie confusing. So, none of it was real? What about the thief guy? What about the snowstorm? What was the point of all that? What did I even just watch? If I was Main Girl, or even Main Guy, this would suddenly become Murder on the Polar Express. But no, there's lots of laughing and talking and hugging. And then Hallmark makes us watch the guy propose to the girl. Because of course they do. Until next time, this has been another no-holds-barred review. Merry Christmas. I'm going to go watch some more commercials. Just because a plot twist is big (and weird), doesn't mean it's good. And why would Danny Glover want them to be together? Why does he care? Was it so he could make this movie about them?